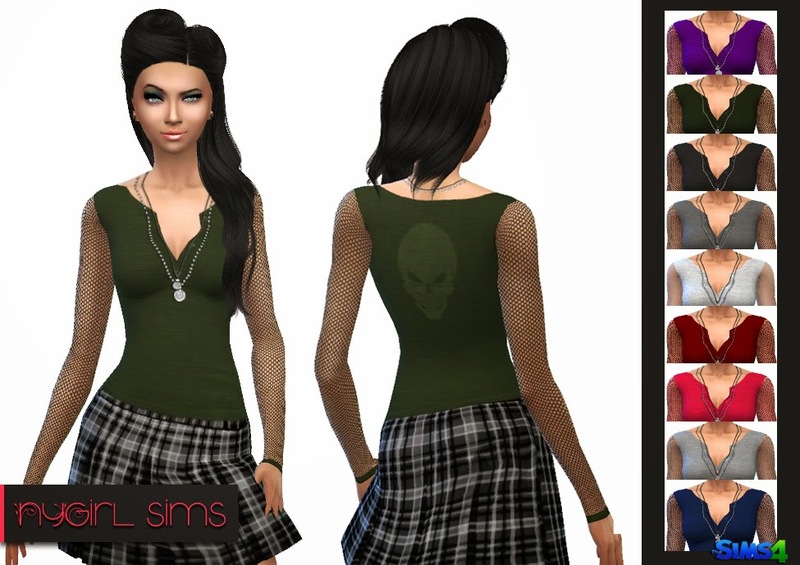 A textured low cut and long sleeve mesh shirt with skull detailing on back and tags. Made from a mixture of TS3 and TS4 textures. Comes in 9 different colors.